Additional information, in Russian, can be found in an article written by Alexander Tsyrlin, " Truth and Lie About the Pogrom in Bialystok in 1906". 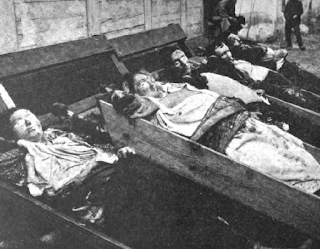 http://yourjewishgem.blogspot.com/2015/10/1906-bialystok-pogrom-victims.html ("1906 Bialystok Pogrom Victims"). 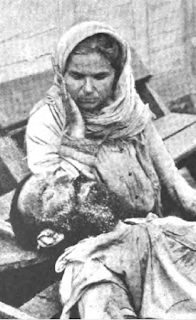 Vladimirov was a journalist who "...conducted his own investigation of all events immediately on the heels of recording the testimony of eyewitnesses and survivors of the pogrom, photographing wounded, maimed, killed by the bullets of the soldiers and beaten to death by bandits." 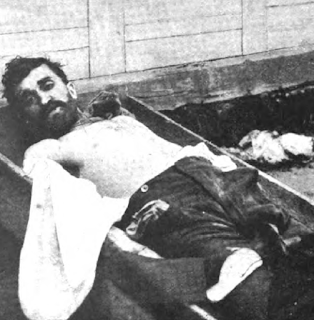 Vladimir wanted a trial because "...he obtained the agreement of witnesses to speak in court and hope[d] during the trial to prove the criminal nature of the actions of the troops and deliberate falsehood reports..."
The article offers additional circumstances surrounding attacks on Jews and examples of them during the pogrom, as well as the course of action taken by the government. It encourages a lot of Jewish refugees from Bialystok; kind of awful; Bialystok stories about the horrors of shocking to the core. PARIS, 2 (15), VI. 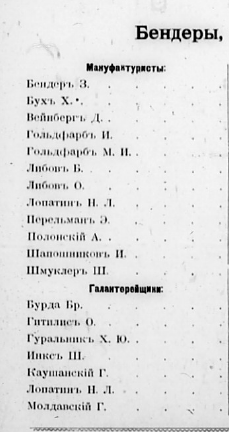 Among Russian colony received private telegraphic news from Bialystok, which states that the pogrom was organized beforehand and is only the beginning of a grand epic of the Black Hundreds. Grodno, 2, VI of. (Officially). Yesterday in Bialystok peasants defeated the main street of Linden; goods exterminated without robbery.Across the city shooting: Jews are shooting out of the windows, and soldiers fire back. The peasants are fighting with sticks. Troops cordoned off the city and barred from his peasant village. Cavalry has arrived accelerates thugs. The wounded many. The number of dead is comparatively large. 29. Segal Chaya-Pesha (Leyb’s wife)—40 yr. also murdered there. 41. Hanayki 2nd (??) (first & surname unknown—was he from the Hanayki Jewish district?)—4yr. 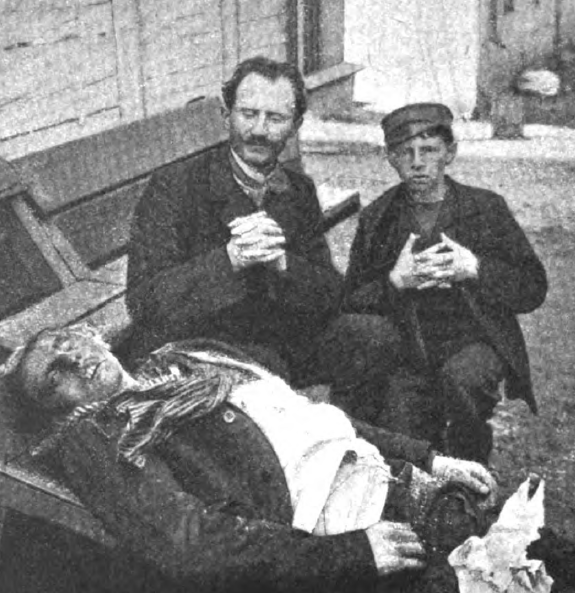 old boy, shot in chest. 44. Itsko (unknown surname)—30 yr., barber, shot in the chest. 49. 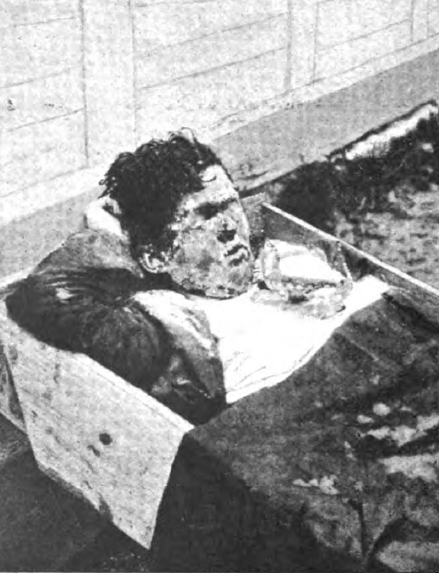 Sshitsky Shlema –30 yr., paramedic at Bialystok Jewish Hospital, killed on Alexander St. Head & face wounds. 50. Freydkin Khaim Leyb—51 yr., head wound, Alexander St.
51. Isaak (unknown surname)—35 yr., from Sokolok (Sokoluk?? ), deep knife wound to chest, on his way to Choroszcz the third night. 54. Tviruky Leyba—35 yr., bullet wound in abdomen, on Yevreyskaya/Jewish St. These are registers of Jewish families in Práchen, Beroun, and Tábor districts in Bohemia, presently, Cechy, Czech Republic. Includes name and place indexes. 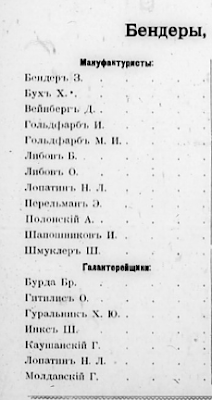 This is a short list of those individuals who may have been Jewish merchants as of January 1901. Most of those who died prior to 1938 were buried in the Horn Cemetery; exceptions were cited in the “Comment”s. This is only a partial list of names beginning with “B”. Any errors or omissions are mine alone.